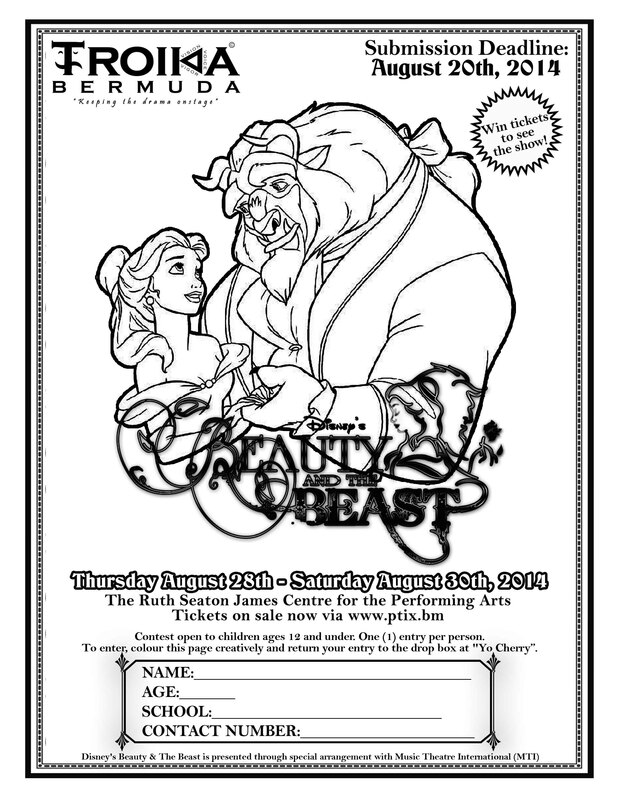 Bernews and TROIKA Bermuda are inviting children from around the island to enter a Colouring Competition in order to win tickets to see a production of Beauty and the Beast on August 28, 2014. To enter, simply print off the coloring page [right-click and "save as" to save], colour it creatively, and return your entry to the drop box at Yo Cherry on Bermudiana Road. The contest is open to children ages 12 and under; only one entry per person. All entries must be submitted by August 20, 2014. Disney’s Beauty and the Beast is presented through special arrangement with Music Theatre International.